Having a stunning work of art without a fabulous frame to set it off is a travesty. We can restore frames so that they showcase your art rather than detract from it. We cater to our clients’ needs, and work to their timeframe and budget. We’ll inspect the frame in question and give you a customised quotation for its restoration or repair. Call us to arrange an inspection. 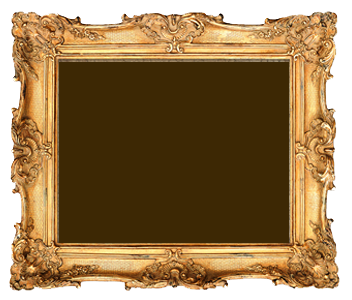 We can restore your antique frames back to their former glory, so that your art looks as good as it should. The same attention to detail that is invested in our art restorations is given to our frame restorations too, so if you have both that are needing work, you can have the whole project completed in one go. We can make quick fixes repairs or extensive restorations to your valuable frames, replacing missing gilding or gilding anew using real gold leaf. Restoring Frames to Complement Your Art Works.